Please join us for an hour during this busy time to take in the healing power, joy, and the sheer pleasure of music of the season. Our theme this Sunday, December 19, will be “Stop and Listen to the Music,” a service offered by our music director, Judy Putnam. Our annual “Sock & Sneaker” tradition will take place as well. As in the past, please bring to the service new or gently used socks, sneakers, woolen hats, mittens or gloves, or other children’s items to put under our tree. Your donations will be delivered to the Inn Between, a homeless shelter for families. Also, please return the UUSC Guest at Your Table boxes and envelopes. 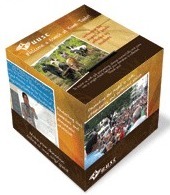 Please convert your cash into a check, payable to UUSC Guest at Your Table.